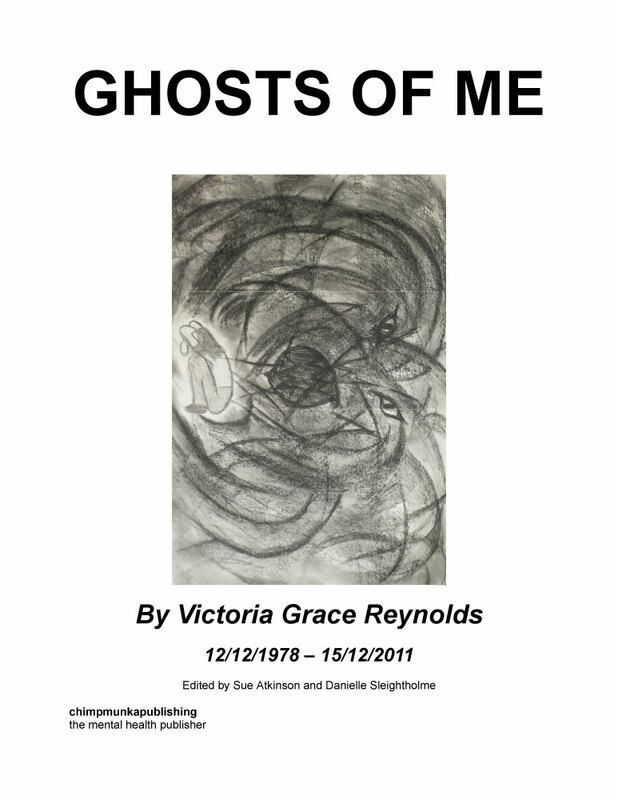 This book brings together some of Victoria Grace Reynolds’ musings, thoughts and feelings about her sense of herself, her experiences with mental health services, her commitment to survival and the strategies she used, as well as her paradoxical commitment to destroying herself through her self-harm. She expresses and illuminates the many complexities of her life in prose and poetry and in the striking and disturbing images she created. Victoria Grace Reynolds (12.12.1978 – 15.12.2011) was 3 days past her 33rd birthday when she died as a result of serious and complex self-harm. She grew up and went to school in the rural countryside, and spent as much time outdoors as possible. She spent a gap year in America as a nanny before returning to the UK to study for a degree in Criminology. Although she did not complete her degree she achieved a Diploma in Higher Education, worked as a Health Care Assistant, engaged in voluntary work and courses in further and higher education and was working towards completing her degree, this time in Literature, a subject to which she was well-suited. She was a member of a research group exploring the benefits and barriers of education for those with mental health difficulties and co-authored a paper on the subject. She was an outstanding student and a gifted, creative and complex young woman. She overdosed, used ligatures, ingested weedkiller, slug-pellets and rat poison. She cut with broken glass, knives, scalpels. She bled. she wrote, she drew and painted, she sewed and knitted. She wondered how she stayed alive so long. These writings and images give some indication of how she did so. Anger terrifies me, both in myself and others. Anger is a terrifying, towering emotion, a seemingly unstoppable bushfire, leaving only scorched destruction in its wake. As the destruction grows, so does its strength. Its intense heat escalates until it can find nothing else to burn and break. Only then do the flames die down, and the individual is left within a black, barren landscape. All that was living has died or lies mute, playing dead, scarred, scorched, twisted forever, changed into another being, another substance and the unlucky few with the cruel memory of what they were before. The demon creatures of hell dance out and delight in the smouldering devastation. All at once comfortable in a world which had always frustrated them in their salivating desire to gain entry. Now they are here and multiply. Small claws rend scorched tree bark, mimicking larger claws rending human skin and soul, longing for the day they can taste human pain on their tongues.